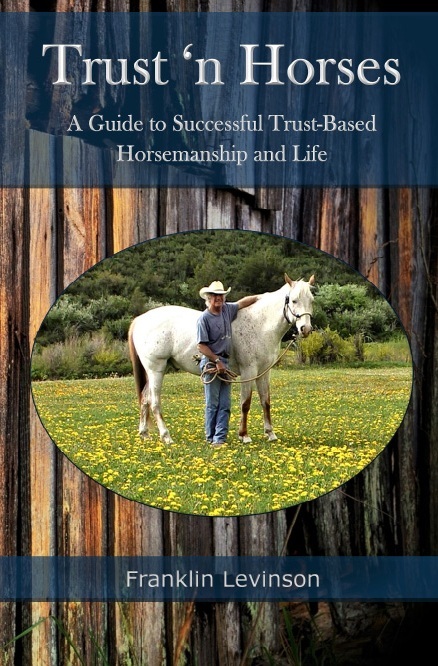 ‘Trust ‘n Horses’ is a collection of essays by Franklin Levinson (a regular contributor to Horsemanship Journal). ‘Trust ‘n Horses’ explores the subject of trust and how it relates to domesticated horses, their training and their lives in a world of humans. This subject is addressed in a grounded, pragmatic style of writing that is easily understandable and logical. It is an excellent resource for any horse lover. Horses need to trust they are safe to thrive. Without this trust in their safety, they will never relax, cannot learn, and will be forever nervous and anxious. This constant anxiety will cause undesirable and dangerous behaviour for both the horse and the humans involved with it. Each essay is a stand-alone story based on Franklin's experiences, allowing readers to learn from these real examples. Franklin Levinson has been a professional horseman for nearly 50 years. At 13 years of age, he was the youngest registered polo player in the US. In his early 20’s, he created and ran equestrian programs at large summer camps in North Michigan. He has always taught success with horses to be a life-enriching process for both horse and human, and that horses are never naughty or bad. In his teaching, he states, “All unwanted behaviour from a horse is a symptom of the animal’s fear and never deserves punishment.” He is adamant about human’s not merely ‘using’ horses for selfish enjoyment. Franklin’s goal is that the horse and human become partners through the inspired and excellent leadership of the human. Equido® Horsemanship was developed just over ten years ago by Morag and Mark Higgins as a way to pass on the ethos and principles of horsemanship as taught by Mark Rashid. Equido® aims to bring students a deeper understanding and meaning to their partnerships with horses and was purposely created as a qualification with the information broken down into four levels with each level delivered in a modular format. To date over 500 students have enrolled through the qualification, covering the UK and Europe with the number of students growing from 5 in 2007 to over 60 in 2017. They now have 8 qualified practitioners across the UK and Europe. who work to keep the working horse happy and sound. of the over complicated technical language and present it in a manner that is simple to follow and easy to learn. This first book in a series of four not only looks at groundwork but also gives an insight into the other professionals, body workers, vets and farriers that work together to bring the best out of our horses. In easy to follow text and amazing photographs, Equido® The Path of Least Resistance will help you find a better bond with your equine partner. Escaping Tradition: Discovering the Next Generation of Horsemanship. This book is a collection of stories from Anna Twinney’s students. Anna is the founder of Reach Out to Horses®, a program that promotes compassion, collaboration and communication with horses, over the more mainstream methods that rely heavily on gadgets, coercion and dominance. In Escaping Tradition, each student tells their own story in their unique way. 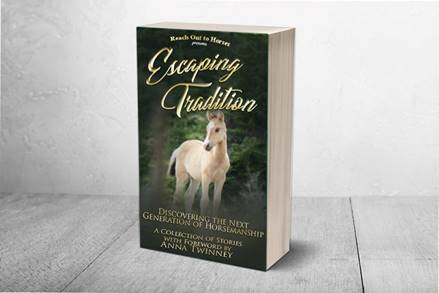 Anna’s students offer heartfelt and sincere accounts of their newfound wisdom and the positive changes in their lives, and their relationships with horses. On opening this book, you won't be able to stop yourself from first flicking through to take in the beautiful photography. The Sporting Horse is organised around four key sporting characteristics - athleticism, speed, agility and endurance. Veteran journalist Nicola Swinney explores how hundreds of years of selective breeding and careful training have developed and refined the horse’s natural ability to perform a diverse range of sporting pursuits. 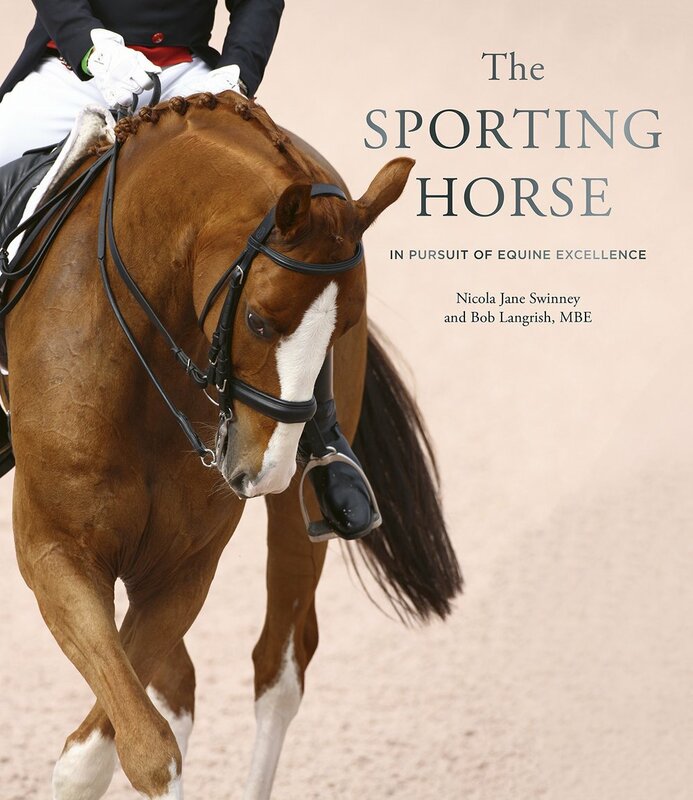 From dressage to polo, snow sports to carriage driving, steeplechasing to barrel racing, the book reveals how horse and rider work as one to achieve sporting excellence. We particularly like that western disciplines are included in this celebratory book, you can find Barrel Racing and Reining under the agility theme.